Our experienced attorneys recognize how failing to appear at unemployment hearing or filing for an unemployment appeal late can prevent either the unemployment judge from ever considering the merits of the claim. We understand the intricacies of filing for an unemployment claim and under what circumstances an unemployment judge or hearing officer would find good cause for a failure to participate in an unemployment hearing. Employers who use third-party representatives sometimes do not receive notice of a hearing until it is too late. Employers with limited staff or staff on vacation can also miss a scheduled unemployment hearing. At the Law Office of Kenneth P. Carp, we understand how an employer might fail to appear at an unemployment hearing and we can definitely represent your interests. Unemployment judges need to hear more than you forgot or someone didn’t do their job. Contact us to discuss how to best represent your interests. Day care, job hunting and not receiving mail are some of the reasons claimants use to explain a failure to appear at an unemployment hearing. Kenneth Carp recognizes that a failure to appear can cause a dismissal of an unemployment appeal or prevent any evidence from being introduced on your behalf. Do not allow time to pass and act immediately if you failed to appear at an unemployment hearing. There are stringent time requirements to file for a new hearing, and the reasons for not attending have to be legally sufficient. Filing a late appeal to a deputy’s determination or protesting an unemployment claim late can lose your case even before you present it to an unemployment judge or referee. 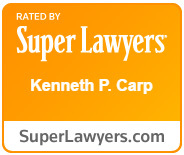 Contacting the Law Office of Kenneth P. Carp on day one is the best strategy for presenting your case. If you find your self having missed a deadline for filing an appeal or protesting a claim, we know the best way to present your case in justifying what went wrong. The judges and the law are looking for specific events and more than an apology. Allowing our experienced staff to represent your interests puts you one step closer to winning. We look forward to providing you with a consultation, so contact us at 636-947-3600 and learn about putting the Carp advantage on your side.